C Cup Long Mascara＇Product DescriptionA long-lasting tenacity with the excellent adhesion by using special polymer ingredients having excellent affinity with eyelashes.＇How to useApply to lashes from root to end in a lifting, zigzag motion.＇Capacity ..
C Cup Volume Mascara＇Product DescriptionSpecial Mascara without dust-falling, bleeding and eye-pain using Polymer Resin instead of Fiber to make-up natural eyelashes.＇How to useApply to lashes from root to end in a lifting, zigzag motion.＇Capacity - ..
My Brow Tattoo Pack #01 Mocha Brown＇Product DescriptionStill drawing in your brows every morning?Touch ups and disappearing eyebrows are now things of the past, thanks to Berrisom's Oops My Eyebrow Tattoo Packs!Berrisom, the first of Korean brands to..
My Brow Tattoo Pack #02 Latte Brown＇Product DescriptionStill drawing in your brows every morning?Touch ups and disappearing eyebrows are now things of the past, thanks to Berrisom's Oops My Eyebrow Tattoo Packs!Berrisom, the first of Korean brands to..
My Brow Tattoo Pack #03 Americano＇Product DescriptionStill drawing in your brows every morning?Touch ups and disappearing eyebrows are now things of the past, thanks to Berrisom's Oops My Eyebrow Tattoo Packs!Berrisom, the first of Korean brands to i..
My Brow Tattoo Pack #04 Caramel Macchiato＇Product DescriptionStill drawing in your brows every morning?Touch ups and disappearing eyebrows are now things of the past, thanks to Berrisom's Oops My Eyebrow Tattoo Packs!Berrisom, the first of Korean bra..
Oops! 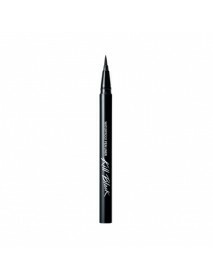 Oneday Tattooliner＇Product DescriptionA deep black ink type eye liner with high elastic brush for distinct and long lasting water & oil proof eye line.＇How to useShake the product 2-3 times, then follow your lash line and fill in the sparse are..
Waterproof Pen Liner #Kill Black＇Product DescriptionSoft brush with no stimulationDisplays colorful and detailed eye makeupEasily removed clearly by foam cleansingWaterproof＇How to useApply liner as close to the lash line as possible, along the lengt..
Waterproof Pen Liner #Kill Brown＇Product DescriptionSoft brush with no stimulationDisplays colorful and detailed eye makeupEasily removed clearly by foam cleansingWaterproof＇How to useApply liner as close to the lash line as possible, along the lengt.. 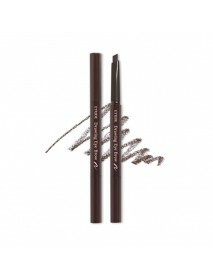 Drawing Eye Brow #01 Dark Brown＇Product DescriptionThis is a pencil type eyebrow that fills in between brow hair.＇How to use1. Fill in between hairs with wider surface.2. 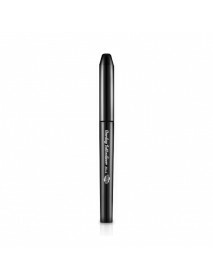 Draw brow line and delicate edges with slimmer surface.＇Capacity - 0.25g.. 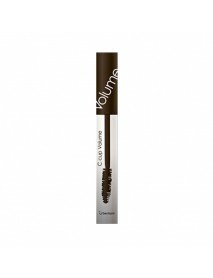 Drawing Eye Brow #02 Gray Brown＇Product DescriptionThis is a pencil type eyebrow that fills in between brow hair.＇How to use1. Fill in between hairs with wider surface.2. 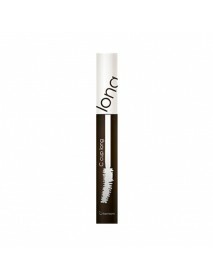 Draw brow line and delicate edges with slimmer surface.＇Capacity - 0.25g.. Drawing Eye Brow #03 Brown＇Product DescriptionThis is a pencil type eyebrow that fills in between brow hair.＇How to use1. Fill in between hairs with wider surface.2. 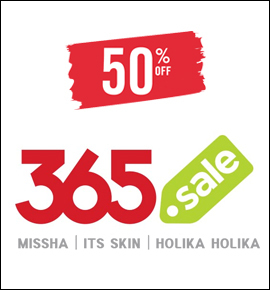 Draw brow line and delicate edges with slimmer surface.＇Capacity - 0.25g..